One of the most difficult parts of managing an Adobe Analytics implementation is uncovering data anomalies. For years, Adobe Analytics has offered an Alerts feature to try and address this, but very few companies end up using them. Recently, Adobe improved their Alerts functionality, in particular, allowing you to add segments to Alerts and a few other options. However, I still see very few companies engaging with Adobe Analytics Alerts, despite the fact that few people (or teams) have enough time to check every single Adobe Analytics report, every day to find data anomalies. 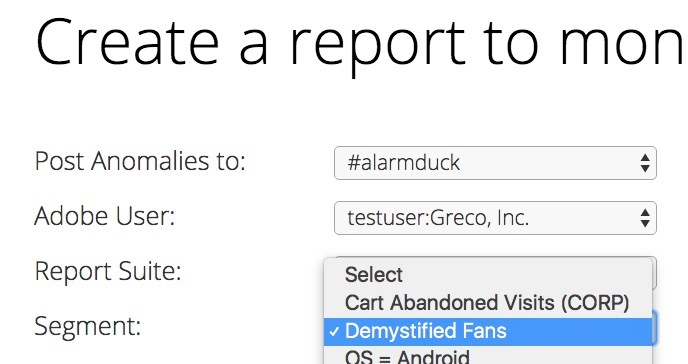 It was around this time that I stumbled upon some folks building a tool called Alarmduck. The idea of Alarmduck was to make it super easy to be notified in Slack when data in your Adobe Analytics implementation has changed significantly. Being a lover of Adobe Analytics and Slack, it was the perfect union of my favorite technologies! 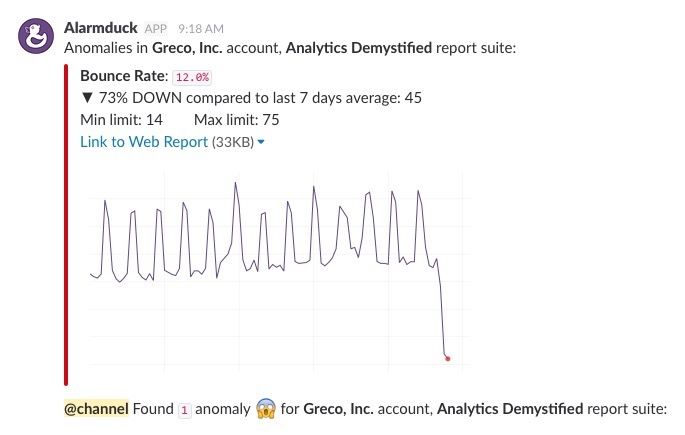 Alarmduck uses Adobe Analytics API’s to query your data and look for anomalies and then Slack API’s to post those anomalies into the Slack channel of your choosing. I was alerted right away, was able to see a graph and the data causing the anomaly and even had a link to the report in Adobe Analytics! In this case, we were able to fix the issue right away and minimize the amount of bad data in our implementation. Best of all, I saw the alert in the normal course of my work day, since it was automatically injected into Slack with all of my other communications. As you could imagine, they were a bit overwhelmed, so I agreed to be their Adobe Analytics advisor (and partial investor) so they could tap into my Adobe Analytics expertise. While there were almost 100 companies already testing out the free beta release of the product, I was convinced that power Adobe Analytics users like me would eventually want more functionality and flexibility. 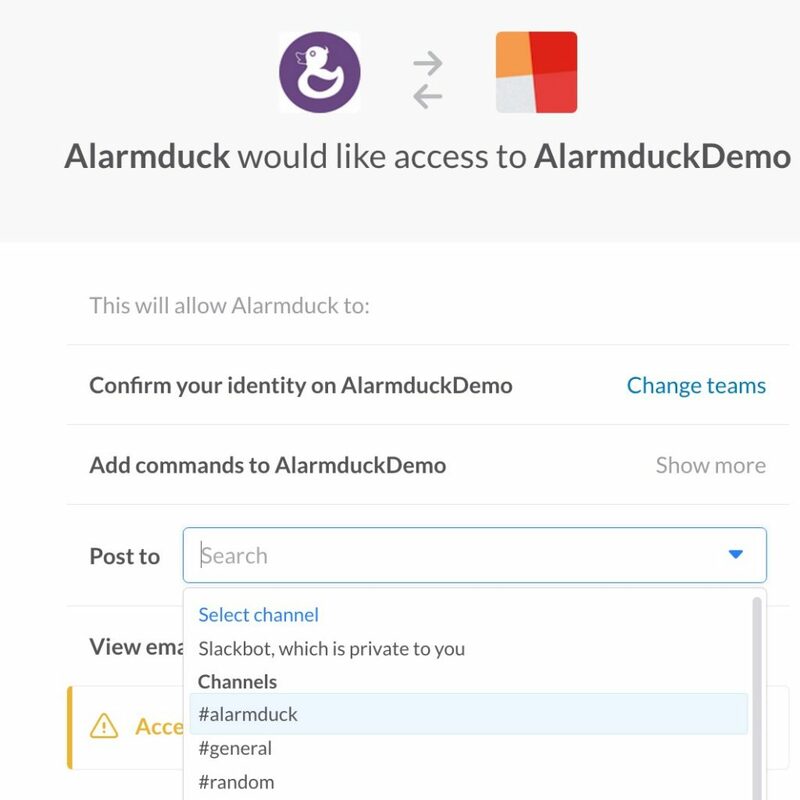 Over the last few months, the Alarmduck team has been hard at work and I am proud to say that all of the preceding features have been added to the product! While there are many additional features I’d still love to see added, the v1.0 version of the product is now available and packs quite a punch for a v1.0 release. 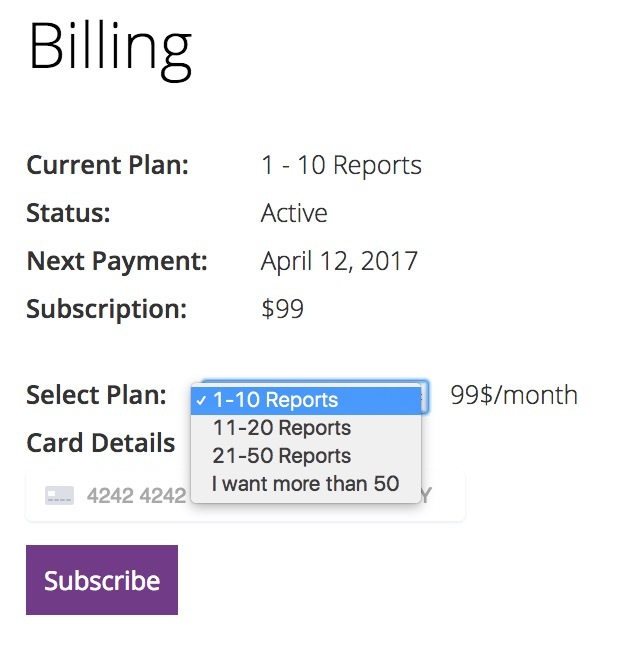 Anyone can try the product for free for 30 days and then there are several tiers of payment based upon how many data anomaly reports you need. 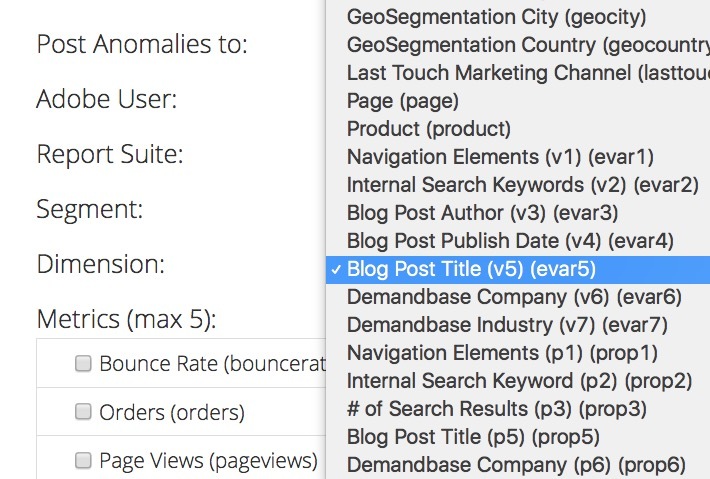 The following section will demonstrate how easy it is for you to create data anomaly alerts. 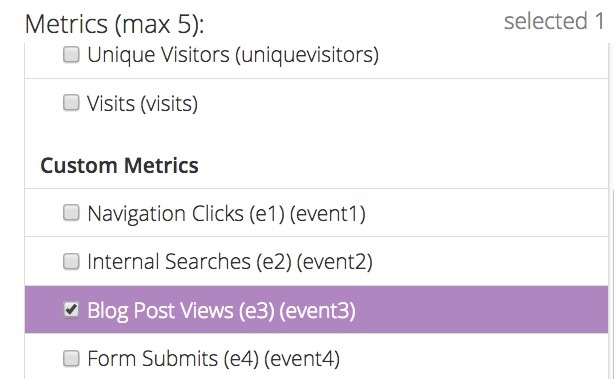 This will send metric alerts to the designated Slack channel once per day. In this case, you would see data anomalies for a Virtual Report Suite, with an additional segment applied and see when there are data anomalies for Blog Post (eVar5) values for the Blog Post Views (event 3) metric (Note: At this time, Alarmduck checks the top 20 eVar/sProp dimension values over the last 90 days to avoid triggering data anomalies for insignificant dimension values). That shows how granular you can get with the new advanced features of Alarmduck (pretty cool huh?)! Since the trial is free and setting up a Slack team (if you don’t already have one) is also free, there is no reason to not try Alarmduck for your Adobe Analytics implementation. If you have any questions, feel free to ping me. Enjoy! 1) Test or audit the website time and again (every month or twice in a month ) whenever any changes have been made or anything new is being pushed live. If this process get somewhat automated like checking all events, evars/ props it will be great. 2) Suppose someone pushed a new feature live on the corporate website without notifying me or my team ( as is the case in many big organizations where every BU is responsible for their own content/ section of the website) and prop 1 value though still working but is not capturing value is the similar format defined earlier. I will come to know about the issue only when preparing a report at the begining of the new month. Alerts wont be helpful in this case. Will Alarmduck be helpful in above two cases as well? 1) All your data is checked on a daily basis. Therefore, if any new and significant changes happened on the website – it will notify you in Slack. 2) If the new value for prop1 starts generating significant traffic then you will be notified in Slack as well. You will be alerted about any changes on the website that are reflected in your analytics data and are significant!